PROPOSED REGULATION OF TOURIST SERVICES CONTRACTS. The second edition of the Mercantile Code, drawn up by the General Codification Committee, the intention behind which is to regulate in one only text almost the totality of mercantile contracts –including those known as“tourist services contracts, has been published on the website of the Ministry of Justice (www. http://www.mjusticia.gob.es).- Obviously, this is merely a proposal, and such a complex, lengthy legislative text still has to go a very long way until it can be submitted to Parliament. In any case, we believe that it is very interesting to be aware of these initial proposals as far as the tourism industry is concerned. 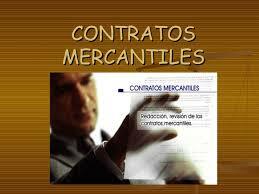 These contracts are included in Book V, Title III, Chapter IV of the aforesaid Mercantile Code Proposal. By virtue of an Accommodation Unit Contract on a Quota Basis, the owner of a Tourist Accommodation Business makes available to an agency a specific number of accommodation units –called quota or allotment– with the relevant services, during a specific period of time, for occupation by the agency’s clients as per the agreed distribution, prices and conditions. The Tourist Accommodation Business shall have the obligation to make available to the agency the quota of contracted units on the agreed terms and conditions. In addition, the Tourist Accommodation Business undertakes the obligation to provide the accommodation services in respect of the units thus made available whose occupation has been confirmed by the owner of the agency. The Travel Agency is obligated to market the quota of units made available to it by the Accommodation Business on the agreed terms and conditions, and it shall to such end use all reasonable means that good commercial practice would demand in this sector. The Agency is further obligated to provide the owner of the Tourist Accommodation Business with information on the state and evolution of the sales on the agreed terms and conditions and, in any case, upon request by the latter. The Agency shall have the obligation to pay the price due for the units actually occupied as well as the price due for the units confirmed but unoccupied. In the case of contracts on guarantee, failure to occupy the units included in the guaranteed quota shall result in payment of the agreed sum and, in default thereof, in payment of the relevant compensation. By virtue of a Management Contract relating to a Tourist Accommodation Establishment, the Management Business undertakes to operate an accommodation establishment, on behalf of and for the account of its owner, normally using its own management techniques and distinctive signage, in exchange for economic remuneration. The Management Business undertakes to manage the establishment the subject of the contract in accordance with the owner’s instructions and respecting its autonomy. The Management Business is obligated to report and account to the owner of the establishment managed by it, in the agreed form and at the agreed times, and at least once a year. The Managed Tourist Accommodation Establishment undertakes the obligation to hand possession of the establishment over to the Manager, as well as any other duties concerning cooperation with the Management Business which may be necessary for a proper operation of the establishment under the latter’s management. The Managed Tourist Accommodation Establishment shall pay the agreed remuneration and shall reimburse the Management Business for any expenses the latter may have incurred by reason of carrying out its management duties. 1. By virtue of a Combined Travel Contract, a Travel Agency undertakes to provide to an individual or legal person, whether as an organiser or as a retailer, for a global price and during a period exceeding twenty-four hours or including at least one overnight stay, not fewer than two of the following services: a) transport; b) accommodation; c) other tourist services not ancillary to transport or accommodation and which constitute a significant part of the combined travel. 2. Separate invoicing of several elements of the same combined travel does not exempt the organiser or the retailer from complying with the obligations envisaged by law for this kind of contract. 3. Combined Travel Contracts shall be governed by the provisions of the specific legislation on the matter. 1. By virtue of an Agency Contract for Isolated Tourist Services, an organiser or retailer Travel Agency undertakes to provide to an individual or legal person one or several isolated services, or any combination thereof which does not constitute a combined travel, in exchange for a price. 2. Any contract entered into by the tourist services agent with a travel organiser or with persons providing isolated services shall be deemed to have been entered into by the traveller or the client on whose behalf the former is acting. Agency Contracts relating to Tourist Services shall be governed by the current general regulations applicable to representation, without prejudice to the specific provisions contained in this Chapter. 1. The Agency shall have the obligation to furnish the client with the relevant documents concerning the contracted service; such documents, or the invoice relating thereto, shall specify the sum paid for the service and shall be duly signed or sealed by the Agency. In the event of non-compliance, the Agency shall be liable for any damages resulting therefrom. 2. The Agency shall not be accountable for any total or partial breach of the travels, stays or other services which constitute the subject of the contract by any third parties providing such services. 1. The Client undertakes the obligation to pay the price of the contracted service. 2. The Client shall also answer for any prejudice caused to the Agency or to the person for which the latter answers due to fault by the Client as a consequence of breach of their obligations, such a fault having to be assessed in relation to a traveller’s normal conduct. 3. The Client is entitled to terminate the contract at any time, fully or partially, provided that they shall compensate the Agency, without prejudice to any penalties legally or contractually envisaged in favour of those providing the contracted services. a) Unilateral termination by the Agency before the beginning of the provision of the services, without prejudice to the obligation to compensate the user. b) Exercise of the right of withdrawal to which the user is entitled at all times, without prejudice to payment of any compensations or penalties which may be payable according to law or to the contract. By virtue of an Accommodation Contract, the owner of an accommodation establishment undertakes to assign to its client the use of one or several rooms or units, as well as the safekeeping of their luggage, and to provide certain services to them in exchange for a monetary consideration. 1. The Owner of the Accommodation Establishment shall have the obligation to render accommodation services by providing the client with, and maintaining them in, a peaceful use and enjoyment of the contracted room during the agreed period. Access to the ancillary areas shall be granted on the agreed terms and shall be understood to be free and at no charge unless the price payable for such access has been reported before the execution of the contract. 2. Additionally, the Owner of the Accommodation Establishment shall have the obligation to provide ancillary and additional services on the agreed terms, normally with an independent remuneration. As a consequence of its safekeeping obligation, the Owner of the Accommodation Establishment shall answer for the personal belongings introduced by the travellers in the Establishment with the former’s knowledge. All credits in favour of the owner of the Accommodation Establishment arising out of the accommodation and ancillary services contracts shall have a privileged status in respect of the debtor’s movable property introduced in the Accommodation Establishment and in any of its rooms. The Client shall have the obligation to pay the price of the room and, where applicable, of any services they may contract for, as well as to respect the health and safety regulations applicable to hotel establishments.